Some of life’s simplest questions get swept under the rug for a long time — after all, the most widespread phenomena often require the most data to understand. Take the shape of the boring egg, for example. You probably thought eggs are was shaped the way they are so they won’t roll out of the nest or something. But a huge analysis shows the real reason eggs have their characteristic shapes may be completely surprising. A new study from an international team of researchers reviewed a collection of nearly 50,000 eggs representing 1400 extant bird species. Their analysis seems to refute more popular ideas about why eggs are shaped the way they are, which invoke the number of eggs laid in a brood, or the location of the nest, as the main factor. Instead, the researchers favour a fairly surprising explanation for egg shape. If that doesn’t seem like a huge deal to you, the study blew away every researcher I spoke to, and received a featured spot in Science, which published it today. Reaching this conclusion was truly a lot of work. Stoddard and her team began by creating two metrics for egg shape, including ellipticity (was the egg more circle or more oval shaped) and asymmetry (was the egg symmetrical, or did it have a pointy side). 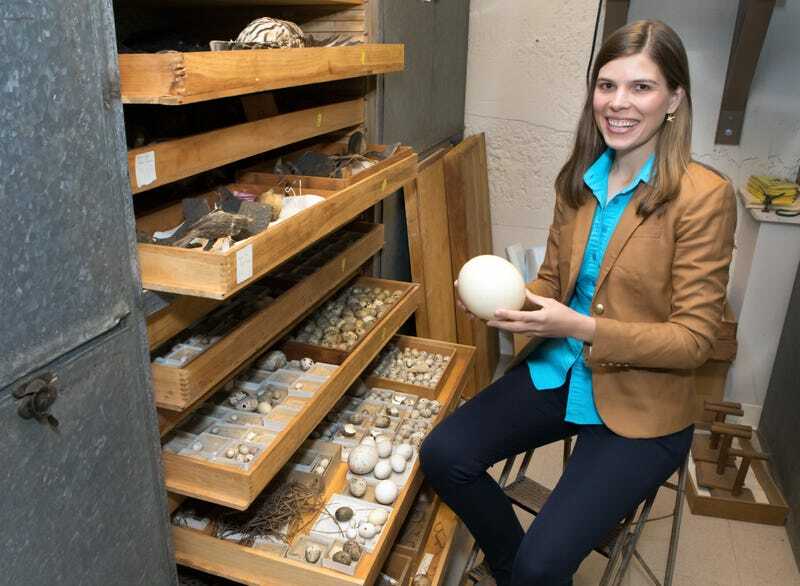 They wrote a data analysis package (called the Eggxtractor) to analyse the Museum of Vertebrate Zoology at the University of California Berkeley’s enormous egg collection. They were left with flying abilities as the strongest predictor of egg shape. This led them to hypothesise the internal anatomy of birds that allows them to fly well may also influence the shape of their eggs. Flight ability, as Stoddard’s team measured it, is calculated by a metric called hand-wing index, which is really a measure of a wing’s pointedness. This means that some birds who glide, like owls, might fly a lot but still have round eggs, which would indicate poorer overall flying ability. It has a top speed of around 24 feet per day. Slow, but your cat probably moves even less from sunup to sundown. After making models and doing the maths thing, they think they’ve got a solution. Uranus is the loneliest thing in the solar system. It hasn’t had contact with anyone in over 30 years.